With apologies to Tolstoy, happy families may all be alike, but the Gotti family has long been unhappy in its own particular fashion. For nearly half a century, that has involved the serial ordeal of men in the Mafia clan being sent to federal prison. On Wednesday, John J. Gotti, the grandson of the infamous Gambino family don who shares his name, was sentenced to five years in prison, following in the footsteps of two of his uncles, two great-uncles and both grandfathers. For three generations, members of the gangland dynasty have been imprisoned for crimes that have included shaking down construction sites, murdering a mob boss at a steakhouse and trying to extort the action-movie hero Steven Seagal. The crimes that led this latest Gotti scion to be sent away were, according to the government, also entangled in the business that has occupied the family almost since the start of the Civil Rights era. 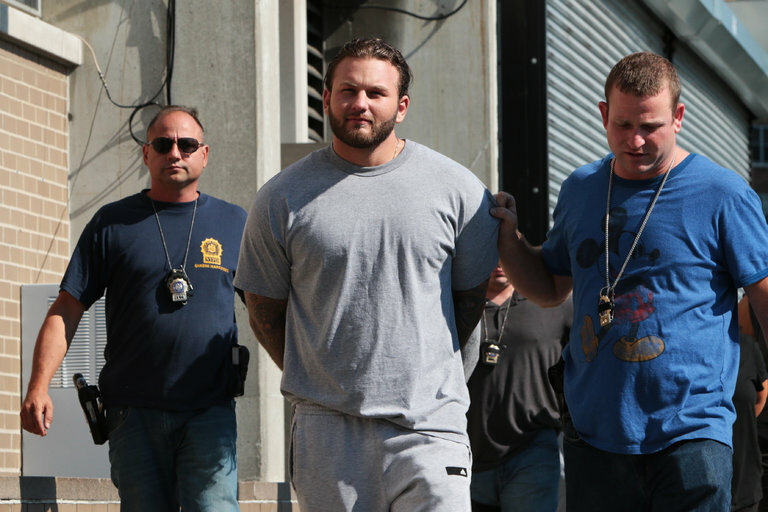 Last June, Mr. Gotti, now 24, pleaded guilty to torching the car of an unwitting motorist who made the mistake of cutting off an aging Bonnano family figure on Cross Bay Boulevard in Howard Beach, Queens. Mr. Gotti also admitted that two weeks after the road-rage episode, he and two associates — presenting a note that said they had a bomb — robbed $6,000 from a bank in Maspeth, Queens. Mr. Gotti echoed that sentiment himself when he addressed the judge, apologizing first to his family (“I should have knew better”) and then to the court (“It was a waste of taxpayer money”). Storied American families often have traditions. The Kennedys are known for playing football on skis. The Bushes gather ranch brush. The Gottis, it would seem, write notes to federal judges asking them for mercy for their loved ones. In their own court filings, federal prosecutors said that, taken together, the arson and the bank robbery were “the defendant’s fourth serious criminal case.” They reminded Judge Ross that aside from his arrest for selling drugs — during which Mr. Gotti was caught on video snorting crushed pills even as he offered some to an undercover officer — he had also been sentenced as a young offender in a gun case and later for the criminal possession of narcotics. Judge Ross, taking all of this into consideration, sided with the government and sentenced Mr. Gotti to five years — half of which, she said, would run concurrently with the eight years he was serving in the state case. She also ordered him to pay restitution of $20,000 for the motorist’s incinerated car, adding that he would have to participate in an outpatient drug treatment program. Before he was led away by a pair of federal marshals, Mr. Gotti blew a kiss to his family, many of whom took his sentence stoically.